Danny formed Suncoast Investment Realty, Inc. (Suncoast) in 2013, bringing his extensive background in real estate investment sales and development to the company. Danny is a 1977 graduate of Indiana University with a BS in Public Affairs/Urban Studies, and where he was a four-year varsity football letterman. At Suncoast, Danny concentrates on connecting investor clients with property owners who desire to sell high quality multi-family communities, retail shopping centers, self storage facilities and land suitable for development. In 1984 Danny joined Phillip R. Duke & Associates -now Duke Realty Corporation, where he directed downtown Indianapolis office leasing and was named "Salesman of the Year" for the company in 1986. In 1990 Danny formed his own company- Olympia Partners, Ltd., which grew to become one of the largest commercial real estate brokerage firms in Indianapolis. While recruiting new partners and associates at Olympia, Danny specialized in investment real estate sales and office leasing. 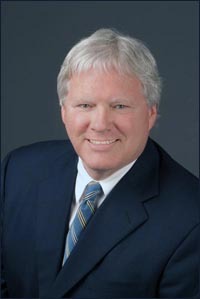 During this time, Danny also co-founded a real estate development company which produced 49 projects across seven states in 20 years, including retail shopping centers and single-tenant retail, a 236 unit luxury apartment community, and two large self-storage facilities-with aggregate value exceeding $200 million. In 2001, Danny co-founded Veritas Realty, LLC, a commercial real estate firm focused on retail shopping center management and leasing which grew its portfolio to over 40 properties and 3.5 million square feet. Danny was named to Indianapolis Business Journal's (IBJ's) "Forty under 40" list in 1994 and IBJ's "Who's Who in Commercial Real Estate" list in 1996. Danny and his wife, Debbie relocated to Sarasota, Florida and became full-time residents in 2011. They enjoy boating with friends and other outdoor activities such as walking the beach. They have three grown children and three grandsons. Danny and Debbie are members of Incarnation Catholic Church and the Longboat Key Club.